What do you think about getting fit, having fun, and making friends all at the same time? Then join Mac-Town CrossFit, at 715 W. Woodside St. McPherson, KS. CrossFit is a family friendly environment and can help you feel better about yourself and your health. The owners are Chad and Sarah Muehler. They have been in business for just over 6 years. Before they changed the name to Mac-town CrossFit it was called CrossFit Pathos. Chad and Sarah decided to changed the name because they wanted to have a name that reflected the town. In 2018 Mac-Town had an opportunity to move to the new building and now they will be able to make lots if new changes. 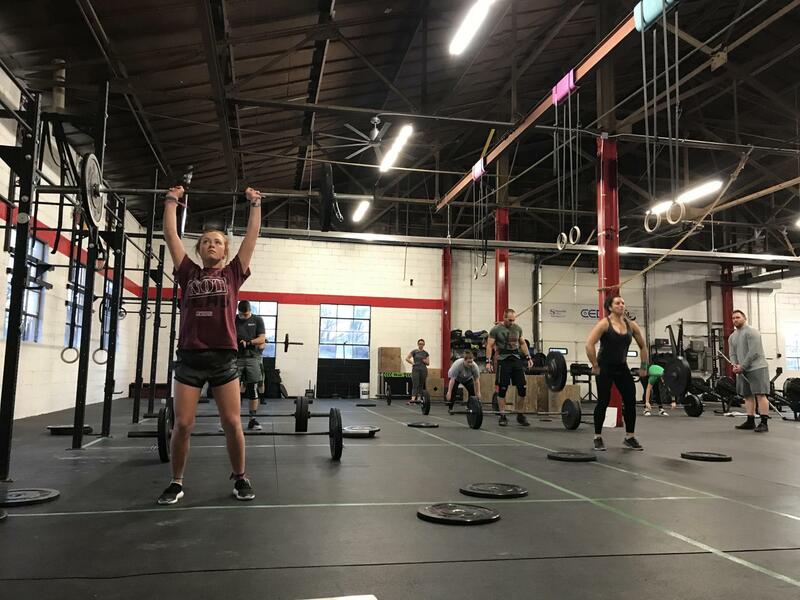 They have CrossFit classes at different times throughout each day and also have a class called Mac-Fit that is at 5:30pm Monday-Thursday. The most recently added class is a Legends class Tues and Thurs at 9:30 for the 60+ demographic! There plans are to start a kids/teens class hopefully by this summer! The next competition hosted by Mac-Town will be around October or November. That’s usually when they do there annual Mac-Town Throwdown. They will have some other events before then but no competitions planned until that one. So come join CrossFit and go check out there social media down below.